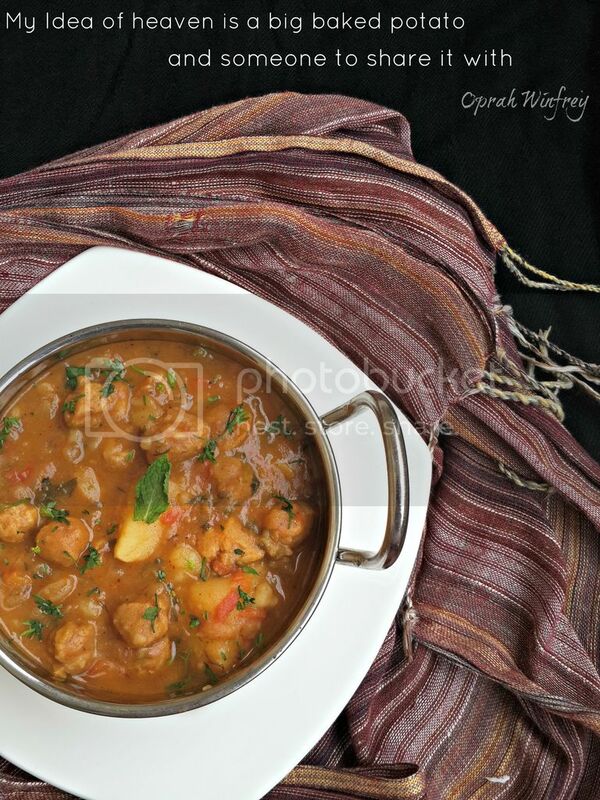 You may wonder, why on earth did I tag simplicity word to Aloo Curry. 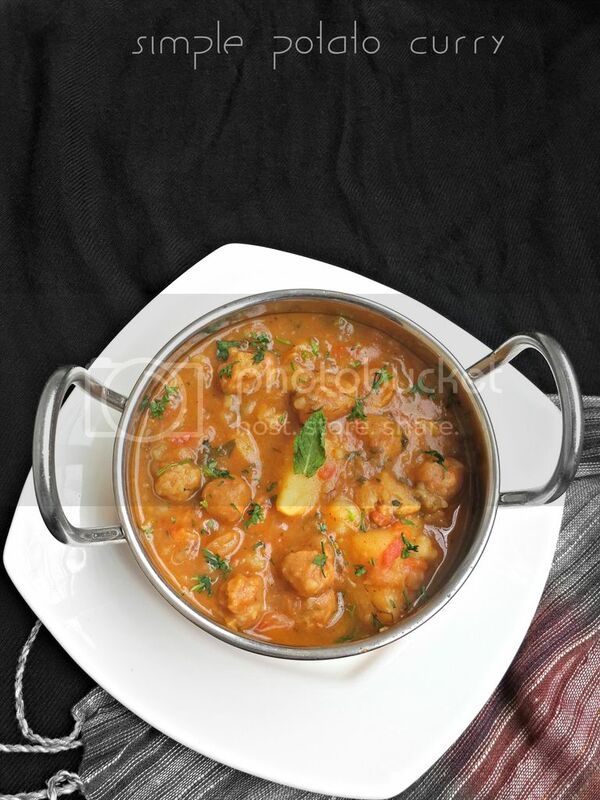 I am not joking.. with the ease of its preparation and time saving technique I would love to call it as Simple Aloo curry. 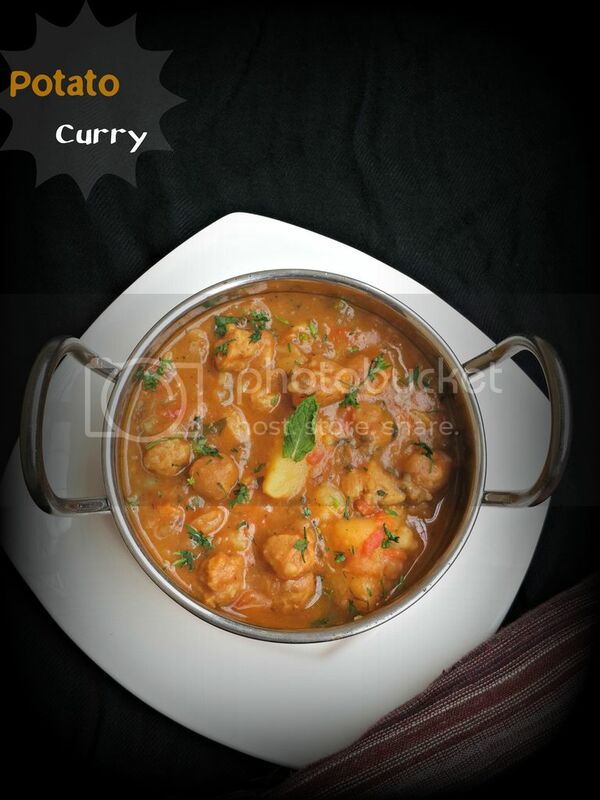 You may ask me, would you tag awesome to Aloo curry. May be, incase if it tastes too good for my taste buds. Well, let me stop all this right away. These days I am on a writing high. I have got into content writing and story writing stuff so much so that I forgot that I work for about 12 hours a day and then cook, write and blog. I am gonna for sure turn out to be a night owl and I hope my mom doesn't raise her brows when I am home with my super haphazard schedule. During one of those super tiring schedules that led to messing up my biryani making plan, I had to get on a lifesaver. I din't want to eat the cafeteria food or some junk. On a side note, I turned out to be a diet freak smitten by a health bug. 1) Heat oil in a pan and let cumin seeds crackle. 2) Add asafoetida and green chillies, fry it for a min. 3) Add chopped onions and fry until they turn soft and pink. 6) Once done, add mashed potato and give a quick stir. 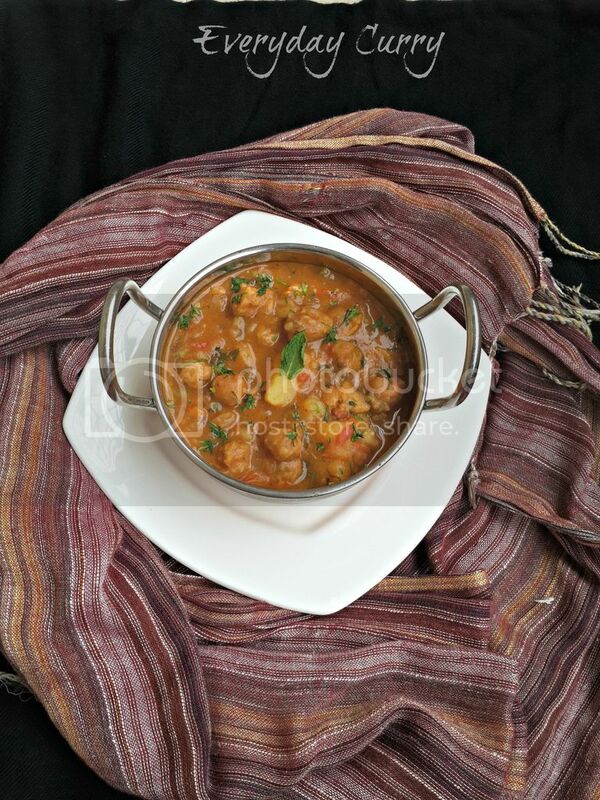 7) Add in cubed potatoes and stir till the masala coats potato pieces. 8) Add water and cover it with lid. 9) Check after 3-4 mins, if you get the desired consistency. 10) You are done with it. Add chopped coriander and serve hot with soft soft hot rotis. 11) If you are not watching your waistline, add a spoon of butter. It's heavenly. 2) Mashed aloo is used as a thickener. I don't like watery watery curries. 3) Feel free to add any masalas, I sometimes use Maggie Hot and sour sauce when tomato paste cooks for that slight tangy taste.